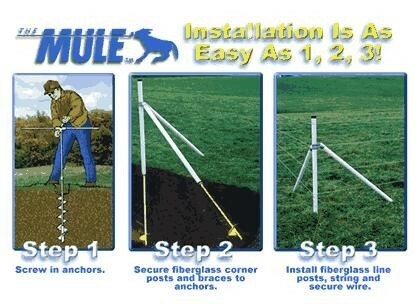 Animal containment industry, GEOTEK, Inc. now offers The MULE™ and Common Sense Fence™ parts, accessories and complete fencing systems for sale. I will help you design and purchase an entire fence system. Guaranteed: 25-year warranty on all SunGuard II ™ posts not to splinter or deteriorate from sunlight and weather. Shipping discounts in the lower 48 states of around 10% of the total Price .